Gleaner has built an incredible reputation and knowledge for what is important to farmers when it comes to harvesting their crop. This knowledge, cultivated over years of working closely with farmers, is infused in all our products, from our S9 Combines to our expanding header lineup and technology solutions. Our latest combines continue to build on the strong heritage and attributes of our previous models, adding more optimum harvesting performance, technology, comfort and convenience than ever offered before. 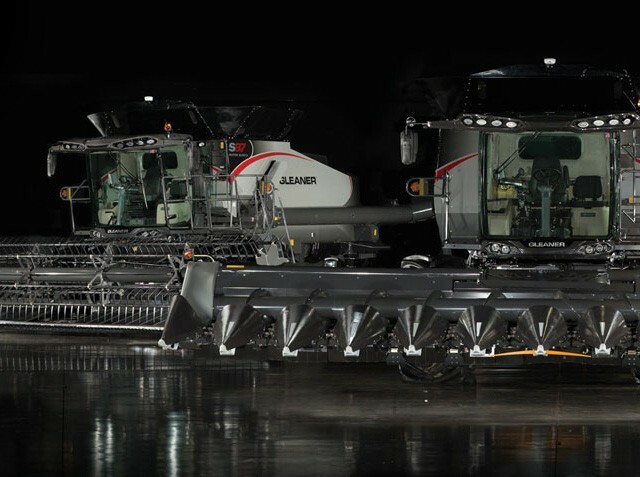 With a more complete header line up than ever, Gleaner gives your operation new opportunities with high performance features that will improve your results during harvest. Fuse is AGCO’s approach to precision agriculture, delivered through technology products and services. This approach ensures growers’ operations are always running and optimized, all assets are in the right place at the right time and each phase of the crop cycle is seamlessly connected through total farm data management. This enables more informed business decisions, reduced input costs and improved yields and profitability.